Dark spots are among the skin’s worst nightmares. They pop up anywhere on your face and can come from sun exposure or even dried up acne. While there are lots of products that can help lighten your dark spots, these pesky spots usually respond to same ingredients. Who doesn’t want to have that lighter and fairer skin complexion? Collagen is a very important component in our body that fortifies the skin's structure. Are you familiar with "White Henna"? 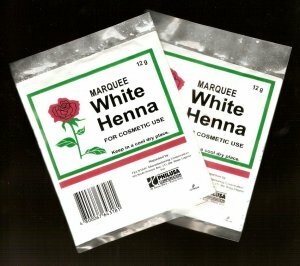 I know one brand of white henna available here in the Philippines. Glutathione is one of the most popular whitening treatment choices in the country. Rice is a known skin brightener and skin whitening agent. Rice water has been used by many women in washing their faces for centuries. It is believed to contain nourishing ingredients that can help lighten and even out skin tone. The Skinfood Rice Wash Off Mask is a multitasking mask that helps diminish the appearance of dark spots by sloughing away dead and discolored skin cells and then nourishing the skin with antioxidants and at the same time repairing the damage of free radicals on the skin. One of the best ways to erase dark spots is by applying a vitamin c-enriched skin serum. However, most people with sensitive skin cannot tolerate most serum’s high concentrations. Klairs Freshly Juiced Vitamin Drop Serum, however, is very gentle with only 5% Vitamin C, allowing sensitive skin to get its nourishing benefits minus the irritation. Apart from Vitamin C, it also contains centella Asiatica extract, which has a calming effect on the skin and is effective in reducing inflammation and redness. This whitening essence is one of the most popular part of any korean skin care routine. It contains 95% fermented yeast extract galactomyces, which is known to improve turnover of skin cells, thus brightening the skin faster. This Korean product aims to “brighten” or to erase dark spots, and not whiten the skin. The Mediheal Vita Lightbeam Essential Mask is an alcohol-free sheet mask that you apply and leave on the face for 20 minutes, giving you a more moisturized, plump, and brighter skin with less dark spots almost instantly. For optimal results, use the mask for at least two times a week. BB creams are among the best Korean skin care products ever produced. They provide skin nourishing elements and sun protection and at the same time provide a light coverage that gives your skin a natural-looking, dewy finish. This Vitamin C-rich powder can be turned into a toner, serum, essence or mask. It is so versatile that it allows you to use its brightening prowess in every single step of your Korean 10-Step skin care routine. Can Korean Whitening Products Help Erase Dark Spots? Dark spots are among the skin’s worst nightmares. They pop up anywhere on your face and can come from sun exposure or even dried up acne. While there are lots of products that can help lighten your dark spots, these pesky spots usually respond to same ingredients. In terms of erasing unsightly dark spots, the best thing that can happen to your skin is using the best Korean skin whitening products to help lighten your dark marks. These products are known to have the most potent ingredients that promote shedding of the discolored skin more rapidly and at the same time encouraging the formation of new cells. Some of these products even have additional benefits such as protecting the skin from further damage. Exfoliating your skin frequently using gentle chemical exfoliants is recommended. Mild exfoliants like BHA, AHA, lactic acid, and Vitamin C help take off dead skin cells gently, taking any discoloration with them. Some Korean whitening brands even use natural ingredients such as fermented rice wine and fermented yeast extracts which are proven to promote skin cell turnover, stimulating the skin to regenerate. In addition, Vitamin B3, or Niacinamide, is said to have the same effect and at the same time helps strengthen the skin and fights acne, too. Regardless of what you use to shed your dark spots, it is just the beginning of the battle. You still have to make sure that you use something that will protect your skin from getting damaged or discolored in the first place. Yes, the easiest thing that you can probably do to protect your skin is to use a sunscreen that has at least SPF 30 every day. Exposing your unprotected skin to the sun causes sunspots and makes your initially pesky acne marks darker. In addition to sunscreen, daily application of a Vitamin C-rich product also helps protect the skin from getting dark spots. While Vitamin C can help remove dead skin cells, it also has the much-needed antioxidants that help skin regenerate quickly. Vitamin C also has melanin-inhibiting compounds that can make dark spot formation less likely to happen. Achieving brighter skin can take time. Nevertheless, using the best Korean skin whitening products and ensuring that you do the routine religiously will surely diminish your dark spots and even out the skin tone. On our next article, we will share a list of our top choices for best Korean skin whitening products that can help erase your dark spots and even out the skin tone. I have read a lot of posts about the availability of Lipo-Cavitation in the Philippines. As a matter of fact, it has been available for a while now and many girls (and guys) have claimed to receive positive results. Really now? Is lipo cavitation that effective? I guess I have to say yes. Disclaimer: The products included in the list are chosen by the readers. Some of the products may appear on our advertisement bars, but we are not in control of that. Overall, we do not personally endorse any of the products mentioned. Who doesn’t want to have that lighter and fairer skin complexion? Here in the Philippines, being fair-skinned defines beauty that’s why most women pine to lather the best whitening lotion in order to achieve that skin tone. Disclaimer: This is a list of whitening products available in the Philippines that are voted as the favorites of our readers. We do not endorse any of the products listed below. DISCLAIMER: We do not endorse any of the products mentioned below. We are just listing down the results of our survey. Do you ever wonder how you can achieve a fairer and more youthful-looking skin? If you want to look fabulous on your fair skin, it is best for you to invest on the best glutathione products in town. 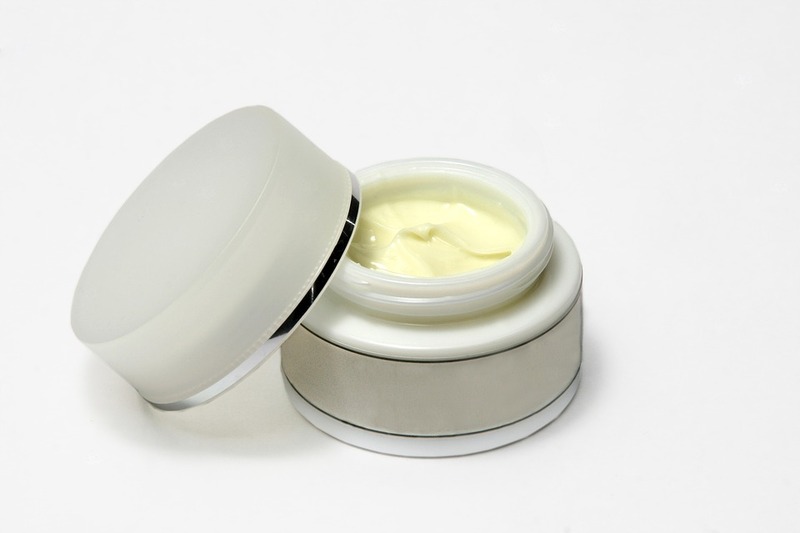 Glutathione For Skin Whitening - Is It Effective? Glutathione is an antioxidant, which gets rid of the free radicals in our body by neutralizing them. Many women use glutathione for skin whitening. Skin whitening is actually a side effect of this substance. Gluta shots (intravenous injection) are given to cancer patients to prevent the side effects of chemotherapy. It is given to some patients with eye diseases and kidney problems; it is also given for the treatment and prevention of of heart disease, asthma and liver diseases. It also regenerates our immune cells so that we can fight disease better. These are just a few instances why it is prescribed or administered. Are you tired of your skin color? There are lots of whitening products for Filipinas available in the market today. So, if you want to get rid of some dark spots or blemishes, whitening products come in various types and forms. Choose from a wide array of brands, scents and main ingredient that will be compatible to your skin to avoid irritation and skin problems. Skin whitening products are your best ally to achieve the skin color that you have been dreaming of. Vitamin E is a potent antioxidant used to prevent premature aging. It is a vital nutrient that must be included in your daily diet. Vitamin E is available in many different forms, and these include oral capsules, lotions, creams and oil. Stretch marks or striae are linear scars that develop when your skin is stretched out excessively, too quickly. When your skin stretches, this causes damage on the skin’s three layers (epidermis, dermis, and subcutaneous layer). They are common to pregnant women or those who have gained too much weight. Sometimes, teenagers having hormonal surges also develop these unattractive scars. I have this previous post about where to buy EOS lip balm here in the Philippines; I created that post without even knowing how well EOS works! I have had this dry smoochies problem since forever, and I've tried lots of balms to sooth my dry lips. My guests here on this blog have one thing in common: the dream to have a fairer skin. Some of them must have resorted to various skin whitening treatments, including injectable glutathione. But what should they do now that FDA announced that glutathione injectables are not legal? Magic Milk Essence Whitening Beauty Series: Reviews Anyone? The product is called Magic Milk Essence Whitening Beauty Series. The name sounds tacky for me. I discovered later that the reason why it is called "series" is because there are lots of whitening products under this brand name. There's the lotion, the toner, face cream, sunblock and so on. Skin care procedures such as facials, diamond peel treatments, acne-removal sessions and whitening treatments are very popular in the Philippines. That is why there are dozens of skin care clinics here in the country. Here is a list of skin care clinics in Metro Manila. Diamond Peel, also called Microdermabrasion, is a cosmetic procedure which generally sloughs off dead skin cells resulting to much younger and glowing skin. It is a fast, painless procedure that uses Microdermabrasion machine that releases fine natural diamond chips. Have you noticed your elbows and knees being at least three shade darker than your skin? That is because the skin on your elbows and knees are generally dryer and rougher, which make them prone to darkening. Thousands of women (and men, too!) suffer from this. Here are some pointers to avoid and treat dark elbows and knees. Glutathione: How Does it Work? Beauty lies on the eyes of the beholder. And in a country like the Philippines, “white is beautiful”. That’s primarily the reason why most of the popular beauty products that hit the market in the Philippines contain the so-called whitening ingredients such as papaya extracts and just recently, glutathione. FAQ: Where Can I Buy EOS Lip Balm in the Philippines? Readers are asking this same question: Where to buy EOS lip balm here in the Philippines? Glutathione is an amino acid found in every living cell of any organism. It is known to be the Master Antioxidant, since it protects the body from a huge number of diseases or illnesses.